(CNS): Following the warning issued by government officials last year to traders who do not have licenses, officers from the RCIPS handed out notices along Seven Mile Beach Wednesday asking them to pack up their operations until they have the official papers. Despite the hard times facing local people, government said it would clamp down on the black economy. The letter given to rogue traders from the Trade and Business Licensing Unit of the Department of Commerce and Investment advises traders to "cease and desist all business activities on Crown Land” until the they have received permission from all of the relevant government authorities. It also warns that vendors operating without a valid trade and business license are in breach of section 12 of the Trade and Business Licensing Law and liable on conviction to a fine of five thousand dollars or to imprisonment for twelve months. The letter warns all of those that received a notice that failure to comply with the notice could result in government taking legal action against them. 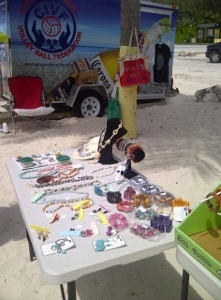 Government officials said the crackdown has begun along Grand Cayman’s famous stretch of beach because of an increase in numbers of people believed to be trading in the area without a license. However, it intends to issue the same notices to all non-licensed traders wherever they are carrying on business without the required permission. Officials said Wednesday that the crackdown was announced last September when the goal was to prevent vendors from harassing visitors and to maintain Cayman’s place as a premium destination. The Trade and Business Licensing Unit said that at the start of next year all illegal public vendors could face prosecution with public beaches being the primary concern. TBL will consider granting licenses to individuals who have received Cabinet approval to use public property to carry on their trades, Rajkumarsingh said. However, this was dependent on the type of business and said that individual must also meet requirements from various government departments such as planning; environment, for food handling; and DoT, for PRIDE customer service training. (CNS): The prison cells at both George Town and West Bay police stations have been condemned by the UK’s prison inspectors, who described them as dirty, windowless and hot with numerous safety issues and, like HMP Northward, barely fit for human habitation. 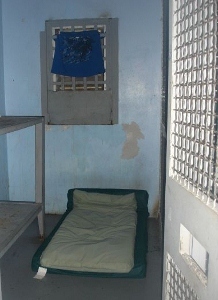 With Cayman’s new human rights regime, the state of the police cells could land government in court and lead to costly awards if the cells are not, as suggested by the UK’s HMP inspection team, condemned and replaced as soon as possible. As well as the appalling environmental conditions, the inspectors found that prisoners were badly treated, with the system of managing prisons arbitrary and informal. Nick Hardwick, the UK’s Chief Inspector of Prisons, said urgent improvements needed to be made to custody facilities operated by both RCIPS and court services, but in a similar concern to that raised over the conditions at Northward, he said it was difficult to see how improvements could be achieved without significant investment and a radical review. The report, which was released this week and teams with another damning report of the prison system, catalogues a list of disgraceful conditions and treatment of people held by police while under arrest. While the prison conditions should be of real and significant concern for the local authorities, the detention of people in police custody in such appalling conditions when they are merely suspected and not even charged with a crime raises even more serious problems for government and the potential for human rights abuse claims. Although both George Town and West Bay cell areas were condemned before the inspection, they were still in use when the inspectors came to Cayman last summer and are still in use today. The custody suites were described as “appalling and not fit for purpose” and the inspectors said there were no definite plans to replace them. The report described detainees putting towels up at the air vents and putting mattresses on the cell floors in an effort to deflect any fresh air that came through the vents onto them in order to bare the overheated and stuffy inhuman conditions. But that was not all. The inspection team also found a lack of consistency in the care provided, and one ‘protected witness’ had been in isolation for over a month at the time of the inspection and had no access to fresh air and natural light, with no way of telling the time of day. The care of detainees was described as inconsistent, with clear examples of poor and unregulated discretion being used that had a negative impact on detainees. The inspectors also found little evidence of officers having been trained in the care of detainees. The abuse of those held on remand at the police station was also documented in the report. “Three detainees in our survey alleged that they had been abused by police while in their custody and one that he had been sprayed with mace. No applications of force used in custody were recorded or reviewed, and there were no systems to manage, monitor or ensure accountability,” the report said. With no secure exercise yards, the inspectors described how men were sometimes taken into the car park in handcuffs and shackles for some fresh air or to smoke. Pointing to the arbitrary and discretionary nature of how prisoners were treated, the report noted that there was little documentary evidence of how decisions were made to allow visits, with the discretion used by some officers not replicated by others. Meanwhile, the report also found that the cells and custody conditions at the court house were also cramped and lacking in privacy at a time when prisoners most needed to speak to legal counsel. The report also documented some internal wrangling at the court over who was responsible for prisonersonce they were convicted. While court services, prisons and police all have specific roles in the care and control of detainees, there was no written protocol to define the role and responsibilities of the respective organisations in terms of the care of detainees. The report said that in reality, there simply was nowhere to hand over the care of convicted detainees safely within the court custody area, but the issue had caused animosity between the parties. It also noted that the facilities for conducting court hearings remotely by video conferencing had never been used. Government officials announced the installation of video link facilities from the jail to the courts over one year ago and claimed to have plans to begin using them within weeks. It is not clear why the video link has never been utilized. ( CNS): McKeeva Bush has announced his first election campaign meeting in West Bay with his only confirmed UDP running mate in the district, Captain Eugene Ebanks. Bush is holding the public gathering next Tuesday evening, when the former premier is expected to face his supporters with renewed confidence. Despite being at the centre of what is believed to be at least three police investigations but with no sign of any charges, the leader of the UDP and political veteran will be turning that to his advantage. In a statement following his release on bail Tuesday, his political supporters described the police probe as “an orchestrated witch hunt against Bush” to damage his reputation and an abuse of official power. Bush, who was arrested on 11 December on suspicion of theft and anti-corruption offences, has always maintained that he has done nothing illegal, and although the former premier remains on police bail, he has not been charged with any offences. “The UDP is of the opinion that over the last 24 months there has been an orchestrated witch hunt against the former premier in an effort to damage his reputation and remove him as the democratically elected premier together with the government which he led,” a spokesperson said Tuesday after Bush hadanswered bail only to be immediately placed on bail again by police until 19 March. “The use of extraordinary resources of the RCIP in carrying out this objective is, in the opinion of the UDP, an abuse of official power,” the UDP added. Despite these issues, after 30 years in the local political arena the former premier will continue to lead the party in the election campaign ahead of the 22 May poll and the UDP has offered its full support and confidence in Bush. The party general secretary, Ellio Solomon, recently indicated that the UDP will be fielding a full slate of candidates in the key districts of West Bay, Bodden Town and George Town. It is understood that alongside himself and Ebanks, Bush already has two other candidates lined up to help him reclaim the four West Bay seats for the party. While speculation mounts about who those candidates might be, no names have yet been confirmed. Rolston Anglin and Cline Glidden, who were ousted from the UDP following their support for the opposition’s no confidence motion in December that brought down Bush’s Cabinet and led to his departure from high office, are both expected to run in the district but they have not yet indicated how. It is understood that Glidden’s return to the UDP is the most unlikely as sources close to the tourism minister say the rift between him and the former premier is now at its widest. However, this may not be the case with all of the Cabinet members, who have given nothing away regarding their plans for the forthcoming election. There is already mounting speculation that at least one of them is likely to return to the UDP fold by nomination day. While the West Bay UDP full slate is still a matter for conjecture, it is understood that the party has already made a decision on the the candidates who will be fighting it out in the capital. With the Progressives likely to have the upper hand in Bodden Town, the battleground for control of the next government will be in George Town. For the capital the UDP has confirmed that former Cabinet Member Mike Adam and back bencher Ellio Solomon, both of whom stuck by Bush during the no confidence debate, will be running again. The other candidates expected to appear on the UDP ticket include long term friend of Bush and well-known local businessman Renard Moxam, as well as former independent candidate and waste-management expert Walling Whittaker, who has been the man on the ground when it comes to promoting the relocation of the public landfill from George Town to land owned by Dart in Bodden Town. TV weatherman John Foster is also tipped to be on the UDP slate in George Town, as well as Jonathan Piercy, the current director of the Department of Commerce who came in fifth in the capital in the 2009 election but he has categorically denied his intentions to run in 2013, leaving the last UDP candidate for GT open to question. With almost 7,500 voters and six seats up for grabs, the capital will be a critical district in the 2013 election. It is also expected to see the most candidates throwing their hats in the ring. As well as the six UDP candidates, the PPM is also fielding a full slate: Opposition Leader Alden McLaughlin; former leader of government business Kurt Tibbetts; long time PPM member and former MLA, Lucille Seymour; former TV reporter and voter campaign leader, Kenny Bryan; businessman and community activist, Joey Hew; and local lawyer and economics guru, Marco Archer. 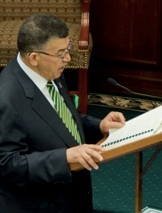 Three independent candidates have also announced their intention to run on the Coalition for Cayman’s platform, including Roy McTaggart and Jude Scott, who were both involved in the formation of the new political group, which is campaigning against the party system, as well as local lawyer Winston Connolly, who has confirmed he will be seeking the endorsement. Stefan Baraud, the former UDP George Town party chairman, the most recent candidate to announce his intention torun, may also be seeking the C4C’s blessing. Meanwhile, former Cabinet member, playwright and social commentator, Frank McField has also thrown his hat in the ring but he said he will not be looking for support from the coalition and intends to fight his own campaign. With seven weeks to go before Nomination Day, many more names are expected to emerge as challengers in the key districts. So far, there have been no announcements of any new candidates in either the Sister Islands or North Side that will be challenging the incumbents. In East End independent candidate Arden McLean is expected to be challenged by John McLean Jr, who ran at the last election as an independent candidate. However, the announcement by Bush endorsing the East Ender last year may see McLean take up the UDP ticket in his campaign against the current MLA. Bush will be holding his public meeting on Tuesday, February 12 at 8pm at the Four Way Stop, West Bay. 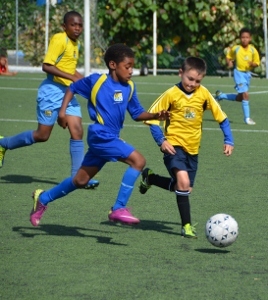 (CUC- PFL): Cayman Prep’s dominance in the Under 9 and Under 11 Champions Cups continued this past Saturday as both teams qualified for the 2012/2013 CUC Primary Football League (PFL) finals following convincing semi-final victories over St. Ignatius Prep. Savannah Primary also secured two final spots as they will represent their school in the Under 9 Champions Cup final and the Under 11 Consolation Cup final. Day five of the Playoffs marked the semi-final stage as four schools battled for the final two spots in each division. The Finals and third-placed games are scheduled for Saturday, February 9. In the Under 9 Consolation Cup, Prospect Primary defeated George Town Primary 2-0 thanks to goals from Josiah Johnson in the 21st minute and Thomas Palmer in the 41st minute. Prospect Primary will face Bodden Town Primary in the final after Bodden Town defeated Truth For Youth 3-2 in overtime on Friday evening. The Under 9 Consolation Cup Final will be played at 9:00 am. In the Under 9 Champions Cup, 4th seeded Savannah Primary surprised the previously undefeated number one seed South Sound Schools 1-0 with Jawan Wray blasting in the winner in the second half. In the second Under 9 Champions Cup semi-final, an undefeated Cayman Prep outfit ran out 2-0 winners over St. Ignatius Prep after goals from Joshua Small in the 20th minute and Gabriel Todd in the 29th minute settled this private school affair. Savannah Primary will face Cayman Prep for the Under 9 championship at 10:00 am while South Sound Schools will play St. Ignatius Prep in the third placed game at 9:00 am. In the Under 11 Consolation Cup, Cayman International Schools secured their place in the final after defeating Prospect Primary 3-0 thanks to goals from Francisco Magno, Thomas Milne and Curtis Eldemire. The second semi-final was played on Monday, February 4 with Savannah Primary defeating Truth For Youth 2-0 as Caleb McFarlane scored twice. Cayman International School will face Savannah Primary in the final at 11:30 am. In the Under 11 Champions Cup, Cayman Prep defeated St. Ignatius Prep 4-0 with goals from Aaron Jarvis (2), Tommy Kehoe and Jude Reynolds to secure their place in the final. In the second semi-final, Red Bay Primary and Sir John A. Cumber Primary played out a thriller as Red Bay Primary outlasted their rivals 2-1 in overtime and ended the Opening Rally champions shot at the double. In the 6th minute, Red Bay’s Akili Talbert scored his second goal in two games against the West Bay outfit as he scored in last week’s draw with Sir John A. Cumber, which qualified them for the semi-finals. As the game wore on, it looked as though the boys in maroon would outlast their rival’s onslaught but Sir John A. Cumber’s Jeremy Manderson had other ideas. In the 58th minute, following an uncharacteristic fumble from Red Bay’s goalkeeper Revaughn Johnson, young Manderson pounced on the loose ball and rolled his shot into the empty net. The West Bay red wave erupted – they were back in the game. On to overtime and a fresh 20 minutes for both teams to come up with a winner, unfortunately for Sir John A. Cumber, it only took one minute for Red Bay to grab that all-important goal. From what seemed to be an innocent Red Bay cross, Sir John A. Cumber’s Cameron Solomon redirected the ball into his own net trying to clear it away from danger. Red Bay had retained the lead and were not about to give it up. For the remainder of overtime, Red Bay repelled everything Sir John A. Cumber threw at them and secured the 2-1 victory and a place in the final. In the Under 11 Champions Cup final, Cayman Prep will face Red Bay Primary for the championship at 12:30 pm and St. Ignatius Prep will play Sir John A. Cumber Primary for third place at 11:30 am. After 11 weeks of play, the 2012/2013 PFL season comes down to one final week. Fans of “the powerful game” are encouraged to come out to the Annex Field for one final Saturday to cheer on their favourite schools and all the brave players.